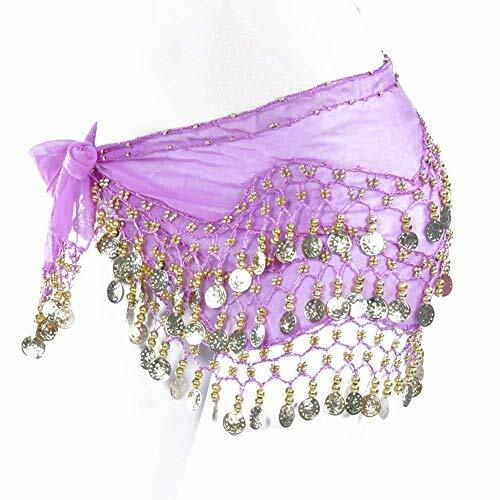 These brand new dance costumes hip scarves are made for belly dancing. 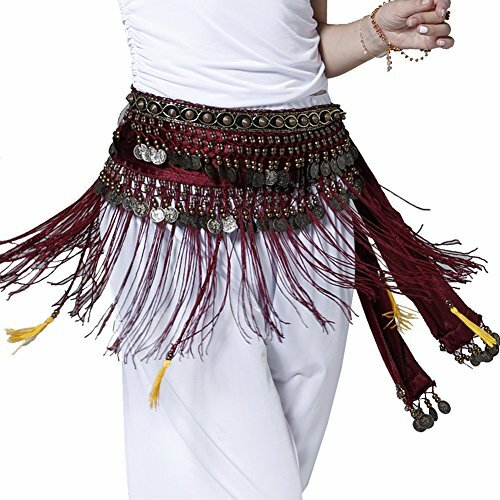 Our belly dancer scarves for women are made from chiffon. 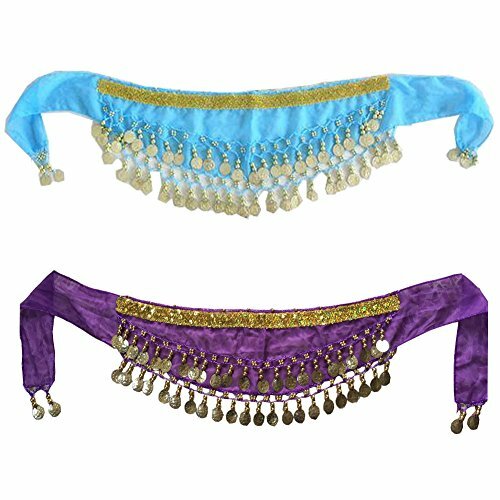 The semi-circular three row hip scarfs have been made with top quality. The stunning new design is generously embellished with hundreds of Gold coins. It also makes loads of noise when you shimmy! Hip Shakers Anybody Can Dance! 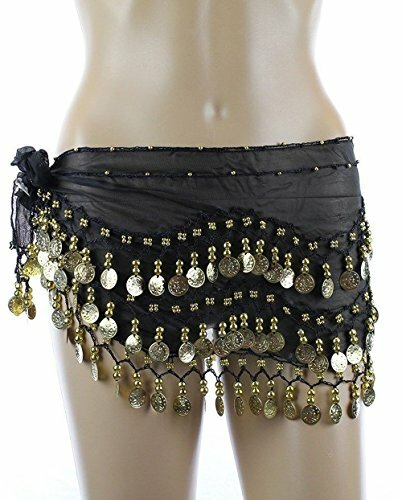 Please note, this listing is only for Gold Coin Belly Hip Scarves. Packaged Included: 1 belt. Material: Velvet, Metal Coins and so on. Length: about 150 cm; Coins Part' Length: about 80 cm. Width: about 28 cm. 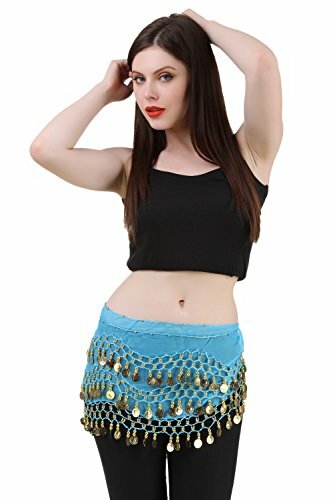 Brand new and high quality skirt, waist design one size fit most fashionable and unique design.